All of our chemicals are competitively priced to meet or beat your existing chemical supplier's price. We work closely with your purchasing team to ensure you are satisfied with our company, product and price. Not only are our innovative chemicals priced right, they are much safer, designed to reduce misuse and improve handling of the product. Traditional laundry processes use hot water to provide thermal disinfection and aid in chemical activation. LUX Oxidation laundry equipment achieves these objectives using cold water and goes beyond the traditional laundry process by eliminating and shortening cycles. This means savings of up to 50% on laundry expenses through energy reduction, water conservation and extended linen life. OMNI Solutions' proven ability to deliver savings with the highest quality oxidation laundry equipment makes LUX a wise choice. OMNI Solutions is now offering the LUX Oxidation laundry system at no charge with a one year blanket order purchase of OMNI's laundry and housekeeping chemicals! 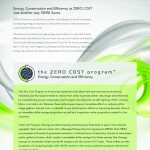 Slash your utility costs & improve your bottom line with absolutely no investment! OMNI Solutions product lines and systems are approved by the Centers for Disease Control and Prevention (CDC) and Centers for Medicare and Medicaid Services (CMS) for use in the healthcare market, registered with the Environmental Protection Agency (EPA), Food and Drug Administration (FDA) approved sanitizers and U.S. Department of Agriculture (USDA) certified organic.